Bishop John Mambo says it is wrong for police and State House to treat Hakainde Hichilema like a criminal when he is a leader of Zambia’s major opposition political party. Bishop Mambo, the president of Chikondi Foundation, broke down in the middle of the interview when he said Hichilema’s life was in danger. He challenged the police to clear the air by openly declaring Hichilema’s current health status following claims by his lawyer Jack Mwiimbu that he had been poisoned. Masked police officers on Monday night raided Hichilema’s New Kasama house where they destroyed its windows and doors, ransacked fridges and fired tear gas in their search for the opposition leader for allegedly obstructing President Edgar Lungu’s motorcade in Mongu last weekend. 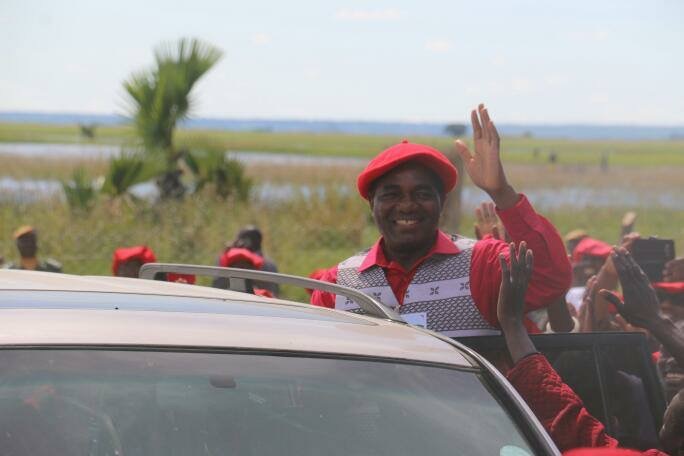 “The police should inform the nation on Hichilema’s current health status. The man has said that ‘they have poisoned me’; he told his lawyer [Jack Mwiimbu] and if anything happens, they are responsible because they have power over him. And why should the blame be shifted on one person now? Where were the police? And how? When the President is coming, everything should come to a standstill and if there were insults, it should have been between police and the UPND supporters. Now the question we should ask ourselves is that who was putting the life of the President in danger? We don’t know,” Bishop Mambo said before he broke down. He said the treason charge which the police had slapped on Hichilema must be dropped. “It is painful, it’s not about politics anymore and I am not after a job. Whether this was to happen to President Lungu or anybody else, I was going to say it. Why should a Christian nation see itself in such an environment? We shouldn’t go this route. We should not go this route, we shouldn’t use the name of God in vain,” said Bishop Mambo while sobbing.